Most Japanese people have IC passenger cards. They are used when you take trains and buses. IC stands for integrated circuit and there is a built-in computer chip in each card. Majority of train stations have gates equipped with IC chip scanners. So you can pass through just by holding your IC card over the scanner. Cards such as Suica and PASMO are widely used in the Kanto area. 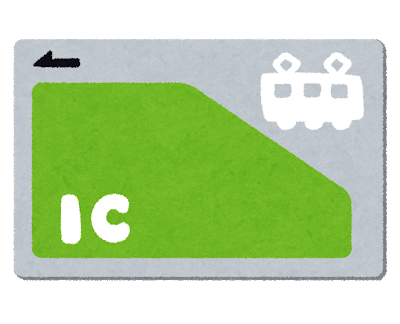 The card called ICOCA is commonly used in Western Japan. You can reload them at train stations and convenience stores. I need to charge the battery of my smart phone.